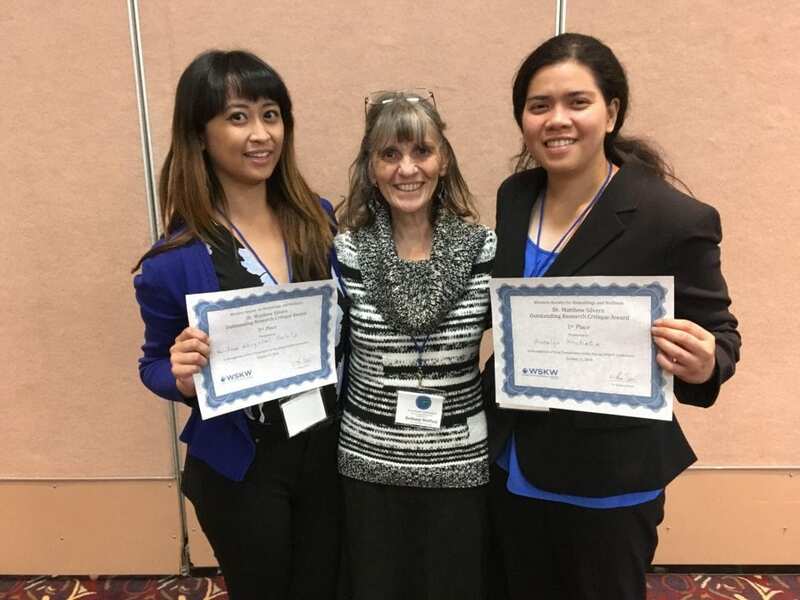 Our department was once again well represented at the 2018 Western Society for Kinesiology & Wellness conference this fall. Dr. Greg Payne was the Keynote speaker. Numerous faculty and students presented on a wide-range of topics at the conference. Dr. Seung Ho Chang: Content knowledge and knowledge packet for teaching fundamental motor skills. Ro-Anne Galleta: Cognitive behavioral based physical therapy, and use of electrical stimulation in prosthetic rehabilitation (3rd place research critique award).